Construction never stops. It carries on throughout freezing winds, pounding rain, and endless snow. Although these conditions can hinder productivity (such as through the accidental freezing of materials, concrete that won’t cure, or uncomfortable workers), there are plenty of rental heaters available to choose from. Here are five of them. Direct Fired Heaters: This type heater is considered the most practical and the most affordable temporary heating solution; through the use of an open flame and some form of flammable gas, air is heated and distributed throughout the space (occasionally with ducts so the heater can be located several feet away from the working area). They are very efficient and some can even run in temperatures as low as minus 30 degrees Fahrenheit, making them favored among construction workers at winter sites. 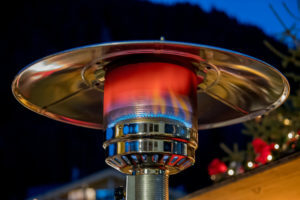 Hypothermia (which occurs when the body’s internal temperature drops below 95 degrees Fahrenheit) is a risk in such locations, and direct fired heaters, such as propane heater rentals, are excellent at keeping workers warm and focused. Indirect Fired Heaters: These types of rental heaters are ideal for places where clean air is vital (like hospitals or industrial facilities): they draw cool air into two different chambers and discharge clean, heated air to the desired workspace. Though they are more complicated and therefore less efficient, money can be saved through the recirculation of hot air which results in a reduction in fuel usage. Electric Heaters: Electric heaters are the best choice when you need to heat small areas, or need to produce dry heat. Though they don’t produce fumes and minimize your carbon footprint, they are very costly. Convection Heaters: Finding temporary heating for construction when you have no power source (or when natural gas cannot be used for safety reasons) can sound impossible. However, convection heaters are perfect for the job as they run on propane and are extremely mobile. Though they can heat areas very quickly and are quite economical, an HVAC rental will most likely be required due to the fact that convection heaters need proper ventilation. Hydronic Heaters: Concrete contractors favor hydronic rental heaters because they are one of the fastest ways to create an environment in which concrete can cure. The system heats an alcohol mixture that is then pumped through heater hoses in the area needed to thaw or keep hot; the hoses are covered with a vapor barrier to prevent moisture from escaping into the air. No matter what your construction needs are, there is a temporary heating solution out there that’s perfect for the job. Temporary heating for construction jobs is absolutely necessary if you’re performing work during the winter months; they keep materials (such as paint or putty) from freezing overnight, thaw the ground and allow concrete to cure, and — most importantly — keep your workers healthy and happy. Finding reliable rental heaters is an easy enough job, but making sure you’re getting enough bang for your buck can be a bit trickier. Here are three ways you can get the most out of your temporary heating solutions. Use the best heater for the job site. Consider what your main goal is for the job. If your main focus is the curing of concrete, a ground heater will most likely be the most efficient option for you; if you’re trying to keep the air clean and dry, an indirect fired heater is the best choice; if you simply want to keep the site at a certain temperature for comfort (which boosts your workers’ efficiency), direct fired heaters like propane heater rentals are the right fit for the job. If you’re unsure about your decision, you can always ask your temporary heating sales representative for specification. Consider the layout of the site. Heat rises, so placing your heaters as close to your construction site’s base as possible can ensure that all the areas above it are also suitably warmed; this includes keeping the heaters away from staircases, doorways, and elevators to prevent warmth from escaping. Insulate the workspace as best as possible. Properly insulating an area in a construction site can prove difficult, but the savings are always worth the effort. Consider securing poly over windows, plywood, and any other open spaces around the site — you can even tent the entire open workspace if necessary. Additionally, reducing the number of times (and the length of time) that the doors are held open can keep the heat inside, right where you want it. Though there are no OSHA temperature control standards for businesses that operate outdoors, finding the proper HVAC rental and utilizing it in the best way possible can boost morale while reducing costs; both your workers and your wallet will thank you. If you’ve ever lived in a city, you know that construction is a non-stop business. 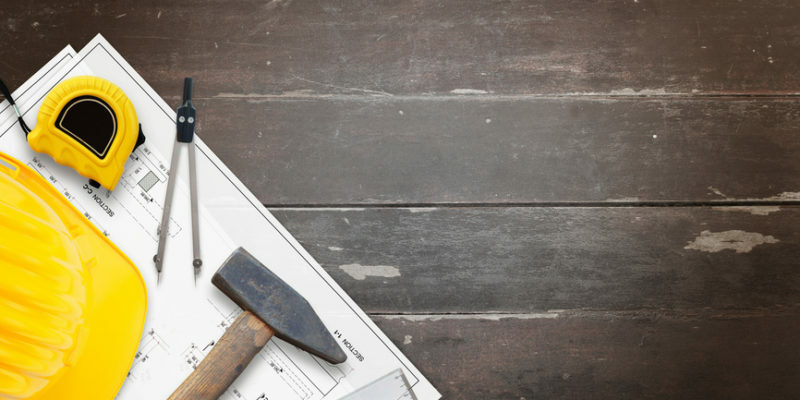 Regardless of the weather, temperature, or time of year, projects must continue according to their schedule. However, since it’s people that are doing the work on construction sites, their comfort matters (and is also legally required). Borne out of a need to maintain climate control in extreme conditions for the workers, such as working outside on 95 degree days or subzero days, rental equipment is often brought on site. Before you make a decision, you need to take into consideration the type of job that is being performed, and these four key factors. 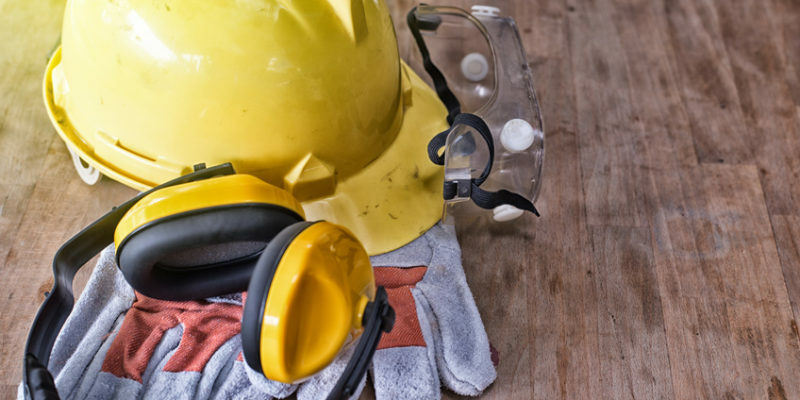 Safety: Make sure that you know your equipment and how to handle it according to the manufacturer’s recommendations, including how it is to be installed. Understand its rating — for indoor use, outdoor use, or both — and stick to the instructions: rental heaters and rental air conditioners can suddenly become very expensive if you break them. Regulations: Temporary heating and temporary cooling solutions may need to follow certain county/city regulatory rules. It’s important to contact your local fire marshal to guarantee you aren’t accidentally breaking any of them. For example, some sites have sound/noise limitations and will require sound containment panels. 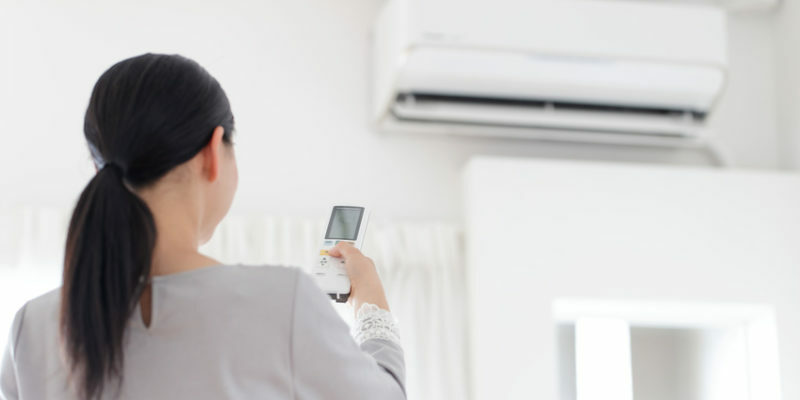 Ventilation: Portable air conditioner rentals can produce a lot of exhaust and condensate, so it’s necessary to ensure they’re in a space that experiences constant airflow and possess the correct ducts to direct hot air out of the area. In fact, demand controlled ventilation is required in spaces larger than 500 sq. feet with an average of 25 people per 1,000 sq. feet. Power: Temporary heating solutions usually run on fuel, so determining the type of fuel will help you figure out how much power it’s going to take to function; many construction sites have constraints on the amount of power that they can use simply due to location or capability of the generator. You’ll want to look for one that offers high performance and low amp draw to get the most bang for your buck. Every job site has its own goals and structure, so every job site is going to be different. However, these tips will help ensure you don’t accidentally end up wasting time and money on the wrong equipment. Delaware sits along the eastern coast of the U.S., right along the Atlantic Ocean. With freezing temperatures and heavy snowstorms a norm for the small state, it is vital that your construction company be prepared; OSHA requires that temperatures not reach below 68 degrees Fahrenheit on indoor construction sites for safety purposes, but the productivity of your workers will also suffer if they’re physically uncomfortable. Here are a few ways to ensure that the work in your site gets done efficiently and within the government mandated regulations. Invest in rental heaters. Construction involves the movement of equipment and supplies, usually over the entire course of its progress. This means that doors are constantly being held open, releasing whatever warmth that had been building up inside outside, while gusts of cold and freezing wind — maybe even snow — are being blown in. Construction workers dress for hard work, meaning they’ll be wearing pants, t-shirts, and little else; they’re going to need a heated place to rest and recover, especially during lunch and breaks. Temporary heating solutions exist at affordable costs and are well worth it when you weigh it against the time (and subsequent money) that is being lost when the cold limits productivity. Arrange for coffee/tea services. There are no temperature control standards when it comes to outdoor businesses (such as construction sites), but there are little things you can do to keep morale up. Something as simple as keeping a coffee maker or kettle available for them to warm their bones on short breaks, or even offering to buy coffee once a week, can make a world of difference. Being subjected to the bitter cold is hard enough without having to manual labor on top of it; with a small display of care, you can help ease the discomfort. Temporary heating for construction (including propane heater rentals) is an investment worth making. Your employees will be grateful for a reprieve from the bone-chilling winter weather, and work will improve at a faster rate. Find an HVAC rental today and remind your workers that you value their comfort as much as their skill. Winter construction sites can be costly to maintain, especially if the work is fully exposed to the elements. Hypothermia is extremely detrimental to the human system and occurs when the body’s internal temperature falls below 95 degrees — providing a warm space for your workers to recover from the bone-chilling winter wind and snow is vital to the success of the project. Cost: Propane is simply cheaper, both from the outset and after time. As time passes, propane rental heaters cost one-third less to operate and maintain than electric heaters, making them perfect for long-term construction projects. Heat output: Propane furnaces produce air between the range of 130 and 140 degrees Fahrenheit and operate in short intervals to minimize costs. Electric heaters produce heat just below body temperature (98.6 degrees Fahrenheit), so the air actually feels cool when you place your hand in front of it. With workers constantly coming and going on sites, there is no guarantee that an electric heater would be able to build up enough heat to warm their bones on breaks. 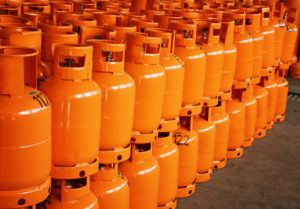 Safety: Propane tanks have a history of being quite safe; the industry partnered with the National Fire Protection Agency (NFPA) to implement strict codes and regulations in the prevention of accidental fires. In terms of environmental impact, propane is considered one of the “greenest” sources of energies. Electric heaters, on the other hand, rely on the burning of coal to produce their electricity, which is significantly more detrimental to the environment. It seems fairly obvious that propane heater rentals are the way to go. 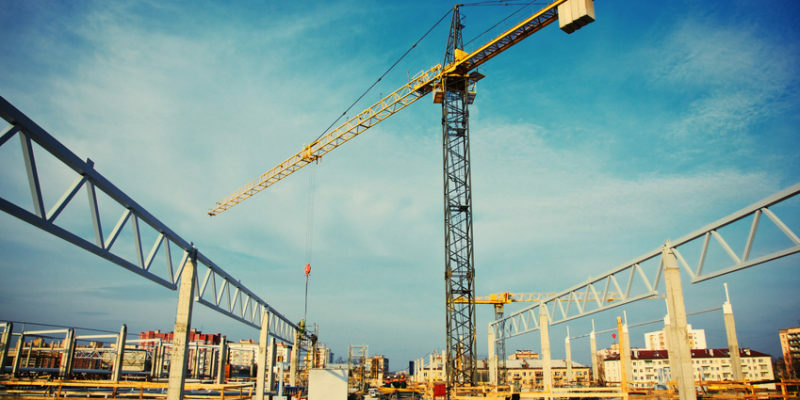 Finding temporary heating for construction sites is less difficult than it initially seems; you simply need to have all the information at hand to help your decision along. Discover a local HVAC rental store near you and invest in a propane heater today. A day of hard work is made even worse with the blazing sun burning overhead. If your workers are struggling to perform in the intense heat, here are some ways to make them more comfortable and improve their performance. While it’s important to represent your brand, you can’t expect your employees to dress in button-down shirts in 90-degree heat. Making special accommodations for employees in hot conditions is the best way to ensure their safety and comfort. Make sure they wear the appropriate safety clothing (ie. reflective gear, masks, etc. ), but don’t expect everyone to thrive in heavy jackets. This is especially important if your field of work demands you and your employees move locations frequently. Sure, having a proper HVAC system in your office is great, but your employees on the field will need a little extra love and support through the form of cold, cold comfort. Employee productivity peaks around 71.6 degrees Fahrenheit. Portable air conditioner rentals are a great benefit to employees where physical effort is necessary, you work in confined spaces, or you perform manual labor. Forms of temporary cooling are easy to move and work hard to ensure your employees remain comfortable. When temperatures soar on a hot summer day, “portable air conditioner rentals near me” should be the first thing you search for. High temperatures often go hand in hand with high humidity. Opting for a dehumidifier rental will ensure your employees are more productive. It will also remove any excess moisture that could damage the task at hand. For construction companies, dehumidifiers play an important role in preventing moisture damage and mold accumulation. These tools are great ways to ensure your employees are safe and comfortable on the move. While you provide the equipment, it’s still important to inform your employees of the dangers of dehydration and heat stroke. High temperatures can result in heat stroke, poor job performance, and on-the-job accidents. Keep your employees safe by looking for “portable air conditioner rentals near me” when you want to beat the heat. A successful business is a little like a successful marriage: a relationship exists between the business owner and its employees, but the fundamentals are the same. If you want your business to thrive, you need your employees to thrive — keep them happy and focused and you’ll see the benefits as your business takes off, especially in the construction field. Construction is a notoriously uncomfortable job. You don’t need to go out and personally buy each of your workers an air conditioner, but setting up an enclosure with a rental air conditioner for those unbearably hot, outdoor summer projects can make a world of difference. Not only will this help prevent heat exhaustion and heat stroke, but your employees will be incredibly grateful for a reprieve from the oppressive afternoon sun and sweltering heat. Temporary cooling units in the summer and temporary heating units (or rental heaters) in the winter can guarantee that the productivity and quality of the work stays at a constant high. By offering small breaks in much more comfortable environments, your workers won’t need to struggle to get through the day, and they certainly won’t feel unappreciated. When working on indoor projects, make sure a dehumidifier is present — not only do dehumidifiers reduce debilitating allergens (which can run absolutely rampant in the spring and summer), they also filter pollutants out of the air. Studies have shown that improved indoor air quality can increase performance in the workplace by 6% to 9%, a number that is worth the investment. Don’t take for granted the importance of the spoken word. Whether it’s listening to an employee’s frustration or offering praise on a job well done, taking the time to speak with your workers will always make a positive difference. They’ll feel heard and appreciated, and will be more inclined to work harder for a boss they trust. Encouraging good behavior is as necessary as correcting wrong behavior — compliment a job done with a high level of skill, and highlight what could’ve been done better when one is lacking. From dehumidifiers and rental AC units to general generosity, there is always something you, as a business owner, can be doing to keep your workforce happy. When people care about their jobs, they work harder at them! Anyone in construction knows that projects can go sideways for any number of reasons. Adaptation is important. But do you know the extent to which ambient humidity can throw off a whole project? Do you know how easy solutions like portable air conditioner rentals can make your job finish on time and budget even when it feels like nature is fighting you? Here are some common problems from humid construction sites and possible simple solutions. Problem: Certain building materials aren’t made to perform at their best in heat or humidity. This could mean protective coats don’t cure correctly, or wood materials can warp. Some material and product warranties could be voided by the manufacturer even if they weren’t usable simply because the because they were used in environmental conditions that didn’t fit manufacturer specifications for the product. Solution:This can really only be solved with proper air conditioning. If the area of the job site is difficult to air condition by usual means, a small temporary cooling system could be fairly easily set up in a closed-off space like a tent. Although a solution that dehumidifies would be most valuable in these example situations, a rental air conditioner would help with the tendency for high temperatures to accelerate the damage humidity can do. Problem: Excess humidity can promote nasty mold growth. Solution: Double check that all materials are not wet or damp throughout construction. Keep your storage time for materials to a short a time as possible before they’re used to minimize their potential exposure to mold, and use a tarp or other protective covering. Use a moisture meter to check materials before use. 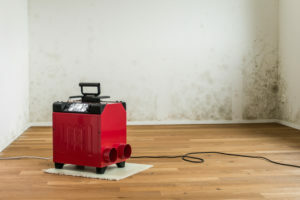 Building is best done in a dry environment; mold can grow in most temperatures between 40 and 100 degrees Fahrenheit, so a temporary cooling function may not be necessary, but some form of dehumidifier is absolutely necessary if you anticipate a mold problem. Dehumidifier rentals are as easy to secure and use as an AC unit rental. 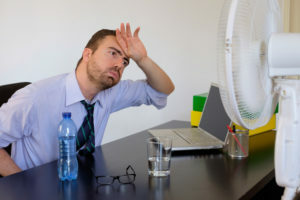 Problem: Even though OSHA has no temperature control standards for businesses that operate outdoors, your workers are feeling sluggish and maybe even ill from excess heat and humidity on their job site. Solution: Healthy and comfortable workers means a job is getting done to the best of their ability. It’s sound business sense and good empathy to make sure your workers’ conditions are bearable. Even if cooling and dehumidifying solutions aren’t possible in their particular job site, make sure break times are being allocated wisely and that plenty of fresh water is available to keep workers from becoming dehydrated. Check possible slippery work surface for safety when in humid temperatures to avoid an accident or injury. If the build process itself is taking longer or needs more materials or re-do’s, the money will add up. More cost can mean a disappointed client and less profit. 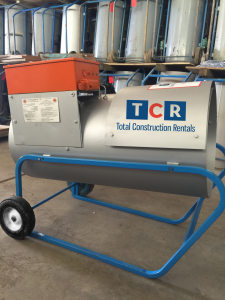 If this sounds like a construction nightmare you’d like to avoid, trust that Total Construction Rentals has a temporary cooling and dehumidifying solution that will work for your needs.